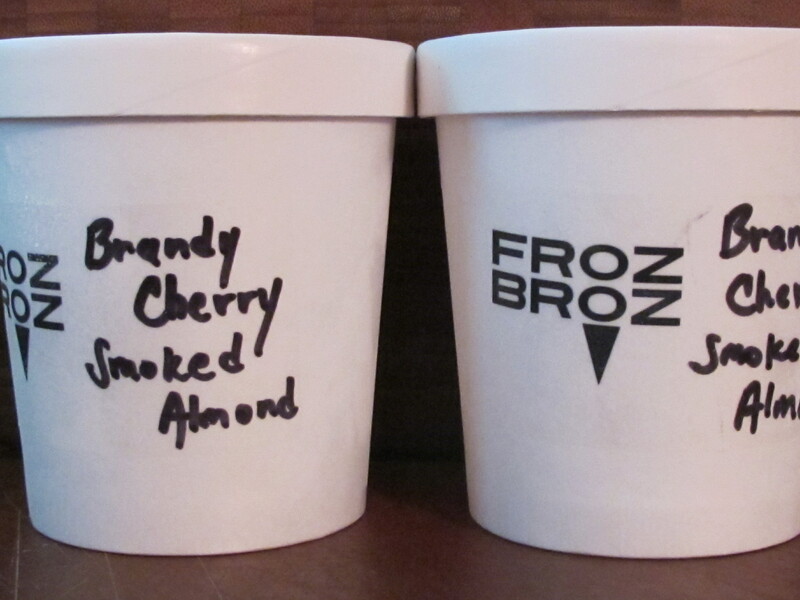 We’ve been cooking together for many years – it’s where FrozBroz got its start. We take a little bit of inspiration from one another each time we’re in the kitchen. This flavor was inspired not only by local fruit at summer’s best, but by our love for our Weber grills and the bounty of foods seared, roasted and smoked on them. Have we ever mentioned how incredible the fruit is at Weavers Country Store in Fall Creek, WI? 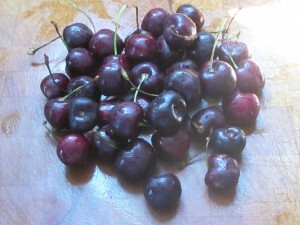 These are sweet black cherries from Weavers. Boozy cherries anyone? 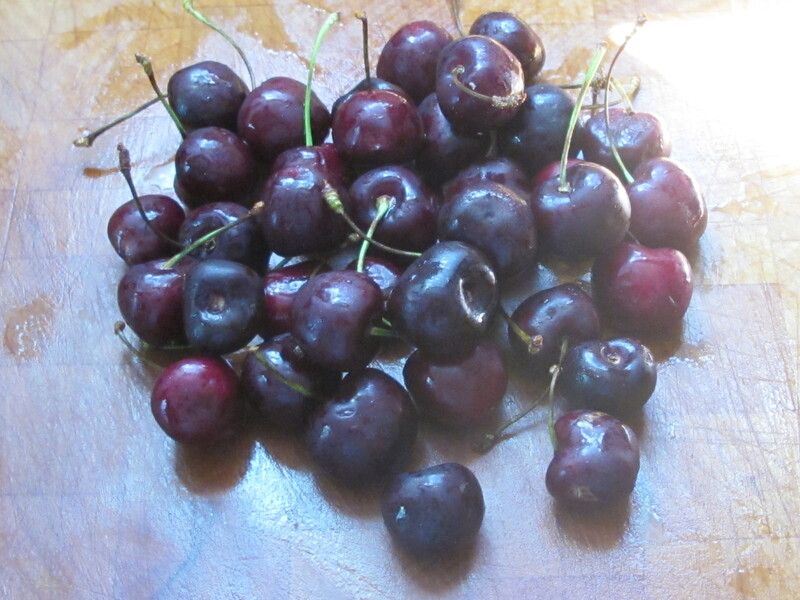 We pit the cherries and soak them in Brandy. 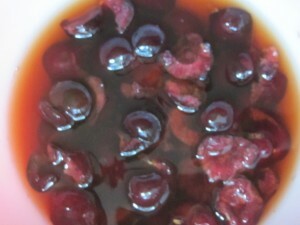 During this process the water content in the cherries displaces with the alcohol from the Brandy. 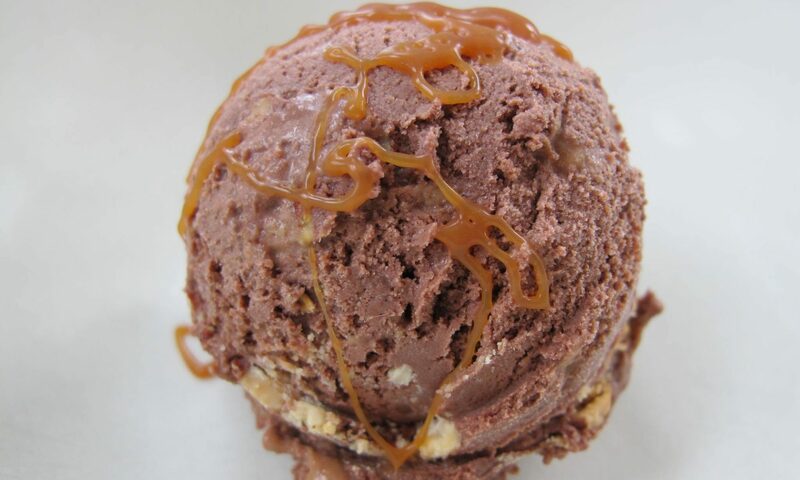 Consequently, the Brandy has a lower percentage of alcohol, but it becomes cherry flavored. OH NO! What do we do now? We take the Brandy, sugar, and a few more fresh pitted cherries and simmer them down into a jam. 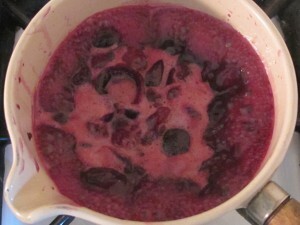 The jam creates a nice body for our cream. 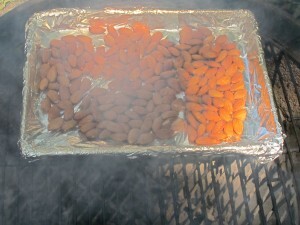 We smoke almonds on the Weber. Using what? Cherry wood. It’s all coming together now. 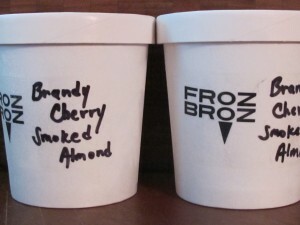 Here it is, Brandy Cherry Smoked Almond – FrozBroz style.